I watched legendary Doc Watson playing this old traditional tune the other day on YouTube. He was the master of the thumb-and-one-finger picking technique and truly made that guitar sing. I had a look at some of the other versions and decided I'd do my own in Dropped-D tuning. As you must know by now, I love Dropped-D and I've become very familiar with it over the years. I slowed the tempo down a bit and I also threw in a little middle section as a way to break up the monotony of simply repeating the verse section. It's OK if you're singing it, but as an instrumental it gets a little tedious. There are, of course, countless ways through the progression and countless ways of expressing it. I might do some of them in a future lesson. 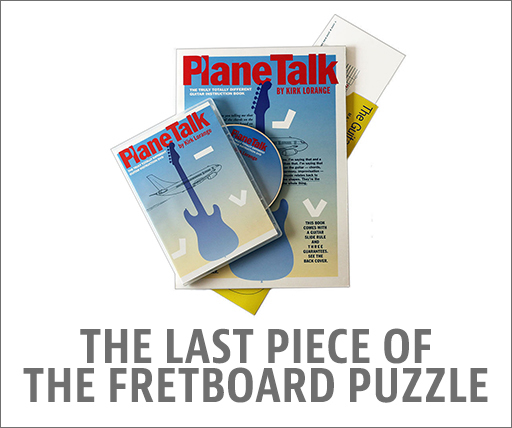 I did have a lot of fun exploring them and once you do know how to view the fretboard as one long, ever-shifting chord pattern, it quickly becomes apparent that there is no end to the possible permutations. 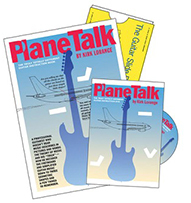 My PlaneTalk Package will teach you how to do that, of course, as you must know by now. The main motif of the tune is distinctive opening bit: D to D diminished. That change has been used over and over again in the blues idiom and for good reason: it works! Theory-wise, the root stays fixed -- D -- but the third and fifth and seventh of the chord drop a half step. They 'diminish', become less. In this example, the root is the D on the 2nd string (and the root on the bass string). You literally see the other three notes 'diminish' a semitone in the video and the tab. Very cool. The right hand picking pattern is what you will have to practice, that's the tricky bit. I suggest that you do what all teachers of this kind of picking will tell you: break it down into the bass line (the thumb line) and the treble line. The thumb plunks away, alternating between the 6th and the 4th string. The root is on the 6th string, the third is on 4th string. So get that happening for a while before attacking the treble notes. You will also want to damp those bass strings a little with the side of your thumb. That will give it a nice short, thumping sound rather than a long ringing sound. Once you've got that happening, introduce the top line. Doc used one finger (his index), I use three. The basic sequence on those top strings is 3-1-3-2-1 but it doesn't have to be that. There are all kinds of ways of getting the same feel and mixing them up is good, not bad. However, if you're mixing them up by random chance, that's not so good. You should always be in control of what you're playing, always be deliberate, so make sure that if you do come of with variations, you're being deliberate about playing them and not just hoping for the best. OK, so that's the first 2 measures! Next comes that neat little bendy lick that I came up with to get up to the IV chord. This is where it gets trickier. It's a combination of bend up, fretted notes and an open string, plus a rising bass line. The second time through I anticipate that bend, it's tiny bit different than the other two. You will just have to break this section right down and follow the tab/notation. You can also slow the video down at YouTube (click the little cog icon and choose 0.5). It's a lot of fun to play once you get it down so keep at it until you get it. We play these confounded instruments for the fun, after all, don't we? The rest of it is fairly straight forward far a fairly challenging piece. That bass should keep thumping away underneath it all to keep it moving along and the top lines should float above fluidly. I will leave it at that for this one. Take your time with it and play it a lot as I had to do before hitting 'Record'.